Society’s winners and losers will be crowned once and for all at the biggest awards night of Lent term. Contribution to science? Best dressed in the office? Most likely to still be ID’d at 30? Food photographer of the year? Best newcomer? Worst pirate? Prize marrow? Most promising double act? Fastest runner? America’s next Miss American teen top model of the year? Best original riddle? The results are in for all these and more - you voted for them and now they’re here! 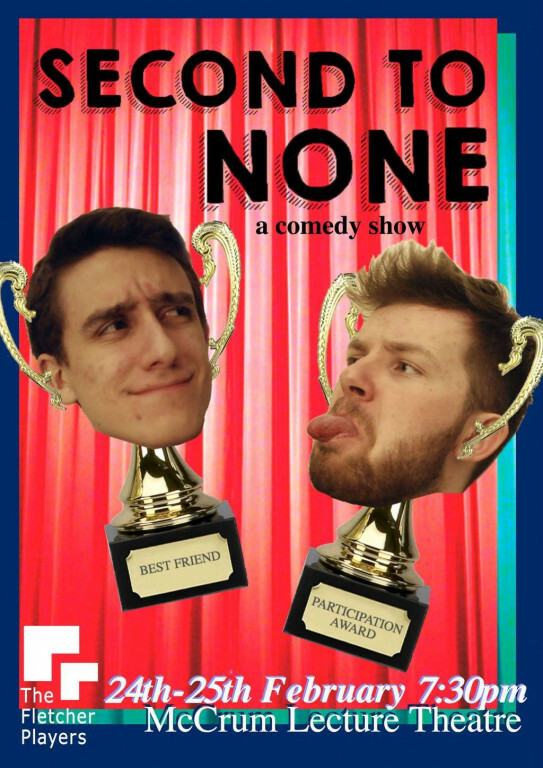 Join Footlights regulars Noah and Will for an hour of character comedy - in Cambridge's HOTTEST new venue ! !